Joey Votto’s walk-off home run nullified a late comeback from the Cardinals Tuesday as the Cincinnati Reds beat St. Louis, 7-6. 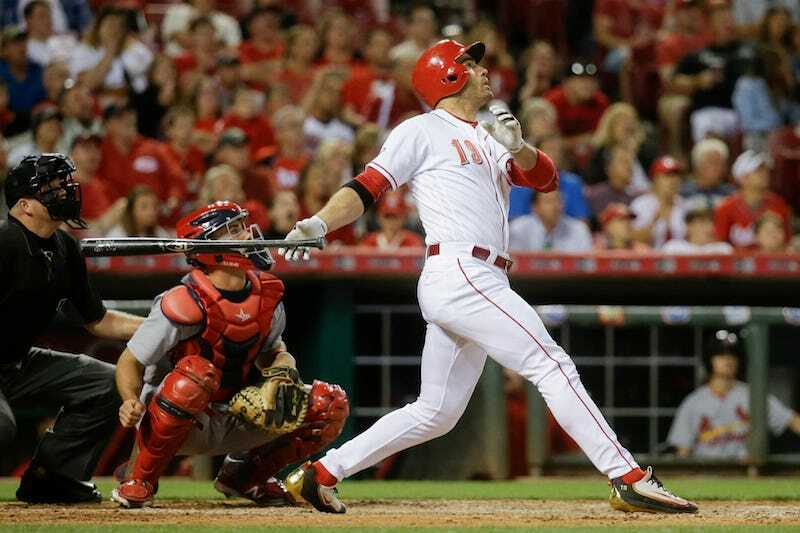 Votto’s heroics saved the Reds’ bullpen from embarrassment. The Cardinals scored three runs in the eighth when Cincinnati reliever Blake Wood couldn’t finish the inning after starter Jake Lamb left with runners on the corners. Tony Cingrani blew the save by allowing two runs in the ninth to tie the game, but earned the win with Votto’s shot. The Cardinals remain in third place in the NL Central with a record of 30-28. There’s always the next game!